One such movie is new to the Box, so I figured I would call it out, as well as two others that are a little older but still pushed the edge in their own way. Searching – When I first heard that Searching was set almost entirely on screens (as in phone screens, computer screens, TV screens), I wrote it off as a gimmick. 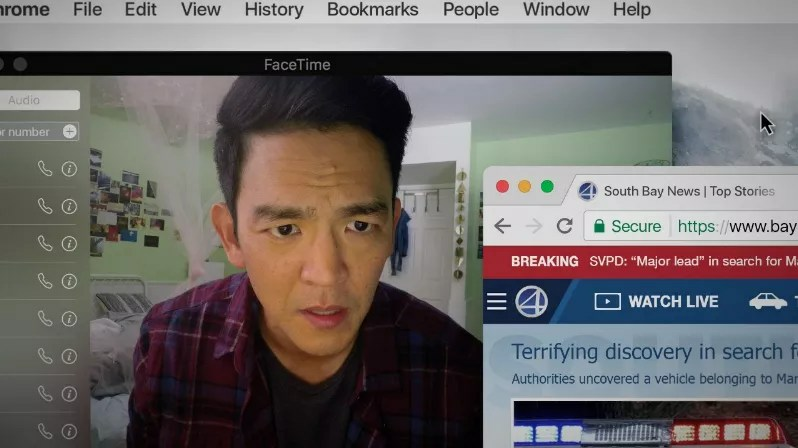 But there’s a reason the debut movie from director Aneesh Chaganty smashed box-office expectations and won the prestigious Alfred P. Sloan Feature Film Prize at Sundance this year: Chaganty’s novel idea worked. And it probably worked because the twisty story he co-wrote with Sev Ohanian is immediately engaging. It follows David (John Cho) as he frantically searches for his missing 16-year-old daughter with the help of Detective Vick (Debra Messing). But the more David learns about his daughter’s personal life through her social media accounts, the less sure he is that he’ll ever find her. It’s a fast-paced thriller that’s unlike anything you’ve seen. Watch it! The Big Short – OK so my spiel above probably convinced you to give Searching a try. But what if I tried to sell you on spending 2 hours and 10 minutes watching a movie about subprime mortgages? You’d be … not as excited, most likely. Well, director Adam McKay (Anchorman, Talladega Nights) knows a thing or two about keeping audiences engaged. So he got Ryan Gosling, Brad Pitt, Steve Carell and Christian Bale to help him educate people on the housing crisis that affected us all, and used several creative and comical techniques to make complex concepts easier for the average Joe to understand. (He uses many of these same tactics in his upcoming film, Vice, too.) You owe it to yourself to watch this one so that you don’t fall victim to any mortgage scams in the future! (500) Days of Summer – Another movie that pushes the edge is this tale of the beginning and end of a romance … and everything in between. It stars Joseph Gordon-Levitt and Zoey Deschanel as Tom and Summer, and it jumps around in time across the 500 days of their relationship. It’s nonlinear storytelling at its best — and it features a musical sequence that is completely perfect in its utter randomness. I hope you enjoy my picks. One of the best parts about this job is that Hollywood is always pushing the boundaries of technology, storytelling and film-making, so I’m positive that within 6 months I’ll have at least 3 more outstanding movies to add to this list.